Read the First Three Chapters of Hero’s Guide for Free! Posted on April 11, 2012 by Mr. H Posted in Hero's Guide	. 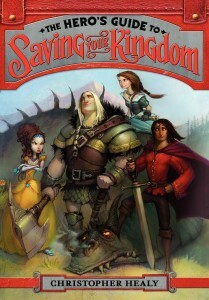 The first three chapters of The Hero’s Guide to Saving Your Kingdom are currently available on the Facebook page of Walden Pond Press. Click here to see how it all begins — for free!